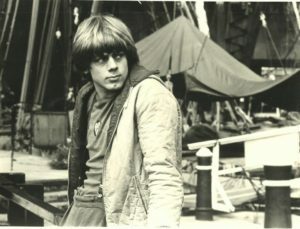 There’s a scene in the episode of Coronation Street that went out on New Year’s Day 1979 in which Helen Worth as Gail Potter is waiting outside a cinema in Manchester for a date with her boyfriend Brian. He doesn’t show, and when a young man who’s also been stood up offers to accompany Gail inside, she declines. 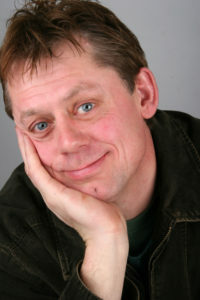 The character of ‘Young Man’ was played by the 20-year-old Graham Fellows, who was at something of a crossroads at the time. 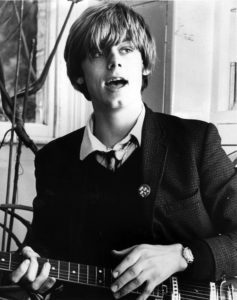 Not five months earlier, Fellows had a hit single, Jilted John, flying high at No 4 in the charts – Top of the Pops appearances, snogs off Debbie Harry, the lot. A full Jilted John album, released just weeks before his Coronation Street cameo, was less successful and Fellows wasn’t sure what his next move would be. So how had Fellows come to this turning point in his career, and what happened next? Rabid issued the Jilted John single in March 1978 with another Fellows song, the wonderful Going Steady, as joint A-side, but it was the tale of John, Julie and Gordon that caught all the attention. 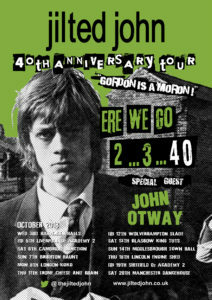 By the end of the summer, Jilted John had been reissued by EMI and Fellows made three memorable appearances with the song on Top of the Pops, complete with his pal Bernard Kelly dancing as ‘Gordon’. 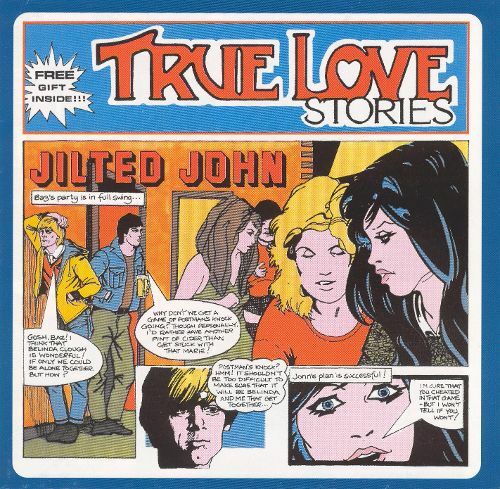 For the most part though the shows will centre on songs from the sole Jilted John album, 1978’s True Love Stories, which was sorely undervalued at the time. Initially, Fellows had considered continuing to mine the idea of songs about forlorn love with alliterative character names. He did some work in that direction, but the world never got to hear Stoodup Stephen, Trendy Wendy, Packed Peter or Chucked Charlie. Instead, True Love Stories was a glorious – yes, say it – concept album, with new songs telling the tale of young John’s love life pre and post-jilt and Fellows performing every character. 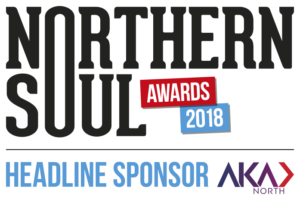 It too was by producer Martin Hannett, with keyboard contributions from his cohort Steve Hopkins, though at the time Fellows wasn’t happy with how it turned out. Fellows doth protest too much. Several of the songs on the album, like Baz’s Party, The Birthday Kiss and At The Bus Shelter, are little gems; warm, evocative, funny, well-observed glimpses of 70s Northern romance that wouldn’t have shamed a young Victoria Wood. 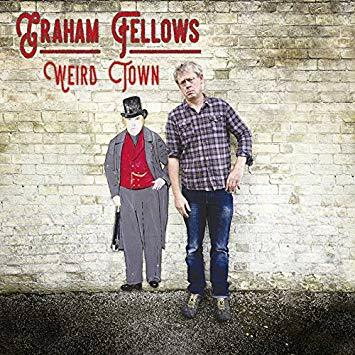 In part, the Completely Out of Character shows are marking the release of Fellows’ new album Weird Town, the first released under his own name since Love at the Hacienda. It’s a fine, reflective piece of work, with open-hearted songs about growing up in the 70s (Diary of a Skinbird), Manchester in the 80s (She Was Held Together by Cigarette Smoke) and playing host to young actors on the way to fame and fortune (Mark Rylance Was My Lodger). There’s even a cover of a song by the mighty Mik Artistik in the form of Car that Makes a Bus Sound. Fellows lives in Lincolnshire now but he still has a soft spot for his Manchester days. Fellows’ Completely Out of Character show includes one of his earliest John Shuttleworth songs, You’re Like Manchester, a surprisingly touching hymn to the city which was widely shared on social media after the Arena bombing last year. 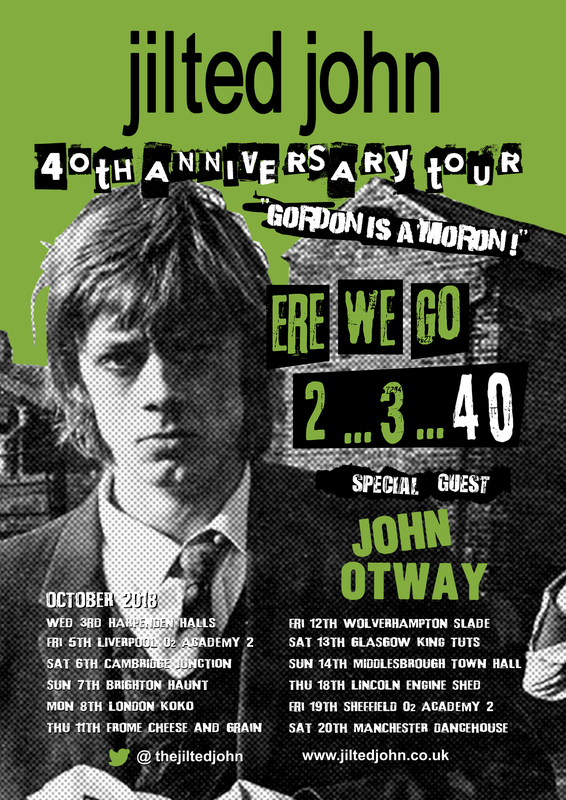 The Jilted John: Ere We Go, 2…3…40! 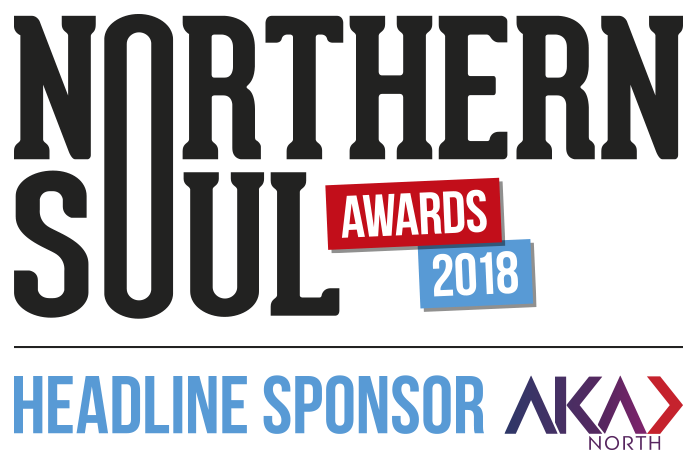 tour dates include Sheffield O2 Arena on October 19 and Manchester Dancehouse on October 20, 2018. Fellows’ Completely Out of Character tour dates include Manchester Dancehouse on November 8. Fellows’s Weird Town album is available now.